Espacio Intangible (Intangible Space), 2014 Exterior view sequence. 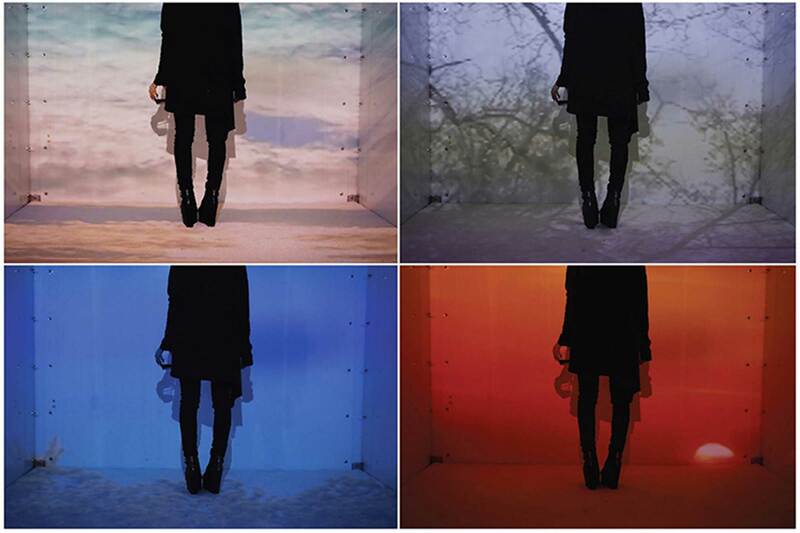 Audiovisual installation in storage container, 7’ x 16' x 8’. © Lionel Cruet, 2014. Image courtesy of the Artist. Intangible Space is the result of an artistic research on the concept of the cloud, used as a metaphor to describe a complex system of interconnected networks of digital storage. 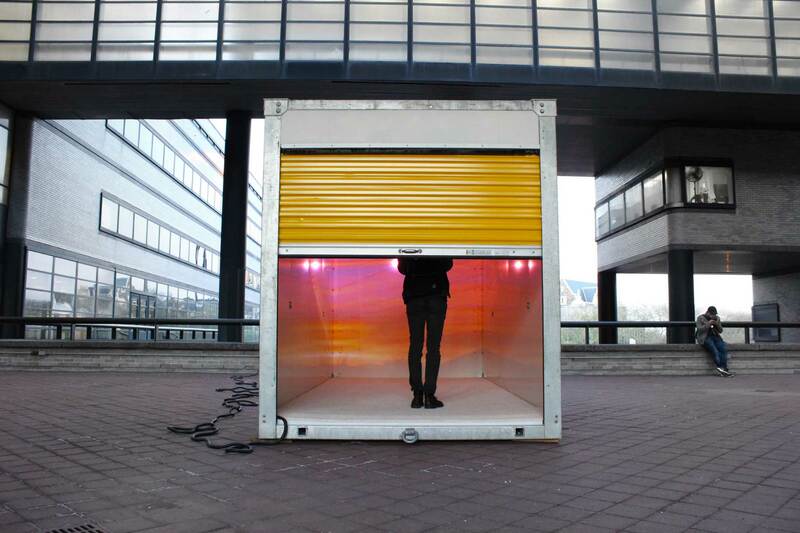 For this project I convert a mobile storage container into a life-sized installation, with an immersive interior environment that retrieves a digital images of clouds and its metadata through narrative sound. 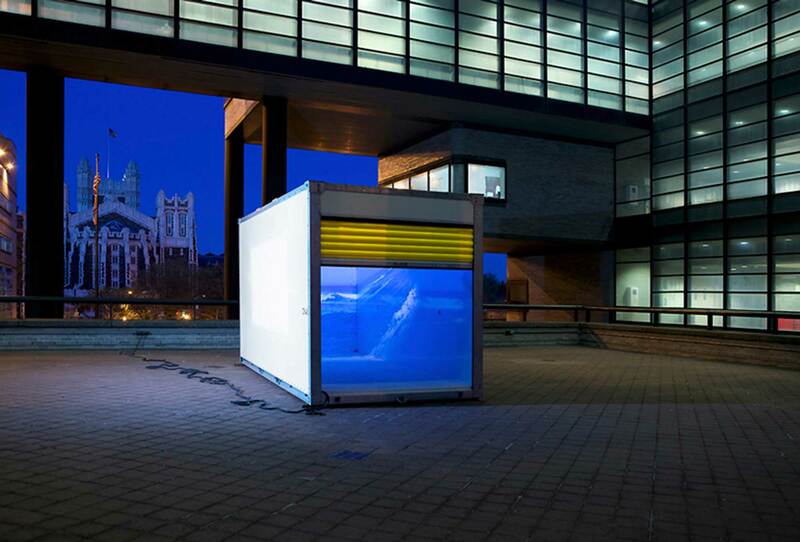 The container is a reflection of a place where memories and belongings are contained, transfer and in transit. All the images were previously collected via email and social media, coming from acquaintances and friends from across the world.